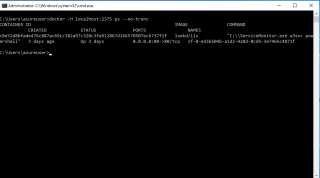 The previous post showed how you can create an unsecure Service Fabric test cluster in Azure, and how to run a Windows Container on it. In this follow up post, I’ll show you what’s going on inside the cluster, using the Docker command line. Knowledge about this can be very useful when troubleshooting. This will set an Environment Variable that configures where the Docker Service can be reached. This command displays the current version of Docker, which is 1.12 at this time. 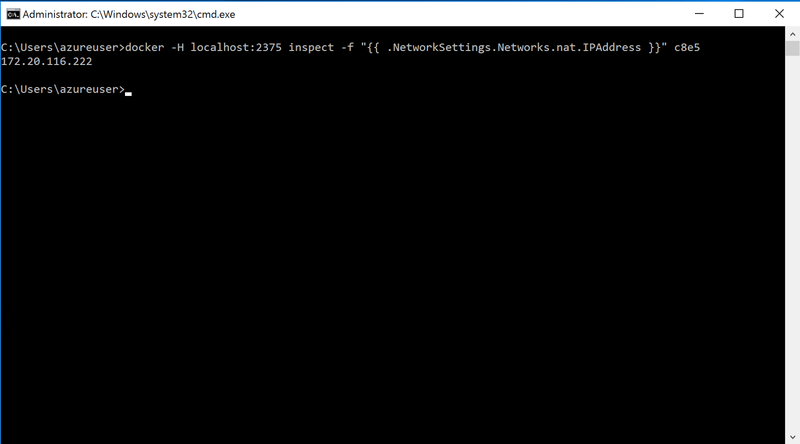 This command will list all running containers, with information not truncated for display. Note that ‘c8e5‘ is the start of my running Containers’ Container ID, so it will be different in your situation. 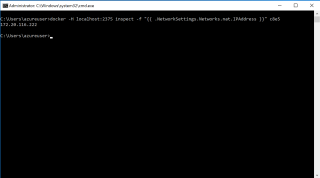 It shows the IP Address of your running container. In my environment, it’s 172.20.116.222. In your environment it will likely be different. 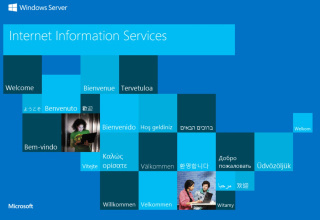 Open up Internet Explorer and navigate to that IP Address, and you should see the familiar IIS start page. This works, because port 80 was defined as exposed in my image loekd/iis. Note that this will expose RDP access over the internet, which has security implications. Use strong passwords for the login account. Consider using a Network Security Group or a non public IP Address to restrict access. 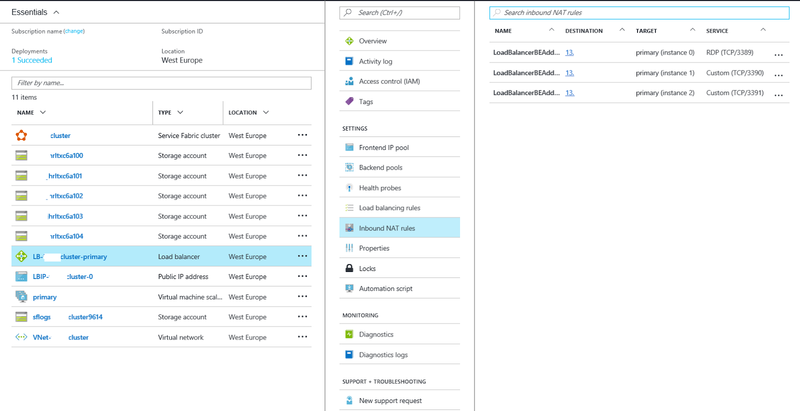 Using this tempate definition, the Azure Load Balancer will be configured to forward Internet ports 3389 and up to specific VMSS nodes. The first node will get port 3389, the second one will get port 3390 and so on. Load Balancer rules that map internet ports to different backend node ports are called ‘Inbound NAT Rules‘. In my environment I have a three node cluster, and every node is now accessible through the public IP Address, using its own port. Read more info about Service Fabric and Scale Sets here. 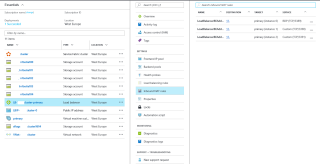 In this post I’ve showed some ways to verify your Windows Containers are running correctly on Azure Service Fabric.